The Notting Hill Carnival is one of the biggest events in London, and has been growing in popularity ever since its inception in the 1950’s. If you are interested in Caribbean culture, food and music then you should pay a visit to this year’s carnival. The first real carnival that was held in the Notting Hill area occurred in 1959. The so-called “Caribbean Carnival” was organised in response to race-related rioting which had occurred in the area during the 1950s. 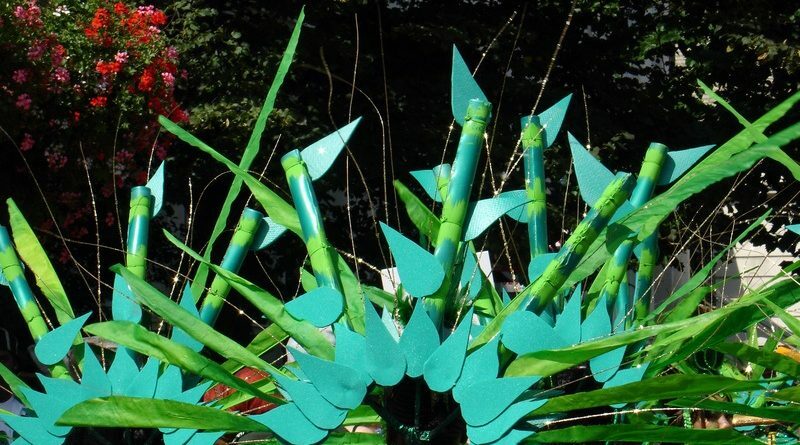 This carnival aimed at celebrating Caribbean culture in the Notting Hill area and improving relations between people of differing ethnic backgrounds. It was organised and hosted by Trinidadian activist and journalist Claudia Jones, who is now known as the “Mother of the Notting Hill Carnival“. The event was televised on the BBC. The modern incarnation of the Notting Hill carnival was also borne out of the 1966 Notting Hill Festival which was organised by Rhuane Laslett. This event was the first outdoor event of its kind in the U.K. and was introduced to promote cultural unity in the area. Although it was initially touted as being a static event, the Festival turned into a procession when Russell Henderson’s steel band started to walk around the area whilst playing. Local children soon began to follow the marching band. By 1970, the carnival/festival consisted of 2 steel bands, watched by around 500 spectators who were encouraged to participate by dancing along. Trinidadian teacher Leslie Palmer took charge of organising events in 1975 and encouraged a larger number of bands to take part. He tried to find bands or performers to represent every different area of the Caribbean. He also encouraged the use of traditional masquerade outfits and moving floats as part of the carnival procession. These ideas helped to bridge the divide between reggae carnival and calypso carnival to encompass wider West Indian traditions. The Carnival was further popularised through live radio broadcasts on the BBC Radio London show Black Londoners. As the Carnival grew in size, the event began to need more and more of a security presence. However, this proved to be difficult as many Notting Hill residents still had a problematic relationship with the police following the perceived injustice of the 1958s riots. During the 1970’s, the event had not been granted any type of formal permission by the local authorities and some law enforcement officials sought to stop the carnival from happening altogether. However, they quickly took on a conciliatory role, rather than a prohibiting one. A number of events during the 1980s were marred by youths clashing with the police force. There were some calls for the carnival to be banned altogether. However, a few establishment figures, including Prince Charles, continued to support the event. The carnival is now organised by a limited company, which has helped to improve the organisation of the event. Although there are still occasional violent occurrences at carnival, it is now considered to be a safe event. The Notting Hill Carnival always takes place on August Bank Holiday. On the Sunday before the Carnival, there is a smaller Children’s Day parade which is specifically aimed at younger participants. If you are planning on coming to the Carnival with young children, then this event may be more suitable for them, because there are fewer crowds and rowdy groups. If you are travelling to Notting Hill via public transport, you should be aware that the underground gets very busy on carnival day. Tube stations may be shut at certain times to help to control the number of people who are travelling. Over 1 million people now visit the carnival. Accommodation prices in and around Notting Hill can increase by a huge amount during the carnival season. Most hotels and B&B’s will be completely booked up, so you should book early if you are intending to stay in the local area. There are plenty of food and drink stalls to purchase refreshments from during the carnival. Most stalls will only take cash payments, so make sure that you have plenty of money available. Cash points in the area will often run out before the end of the festivities.